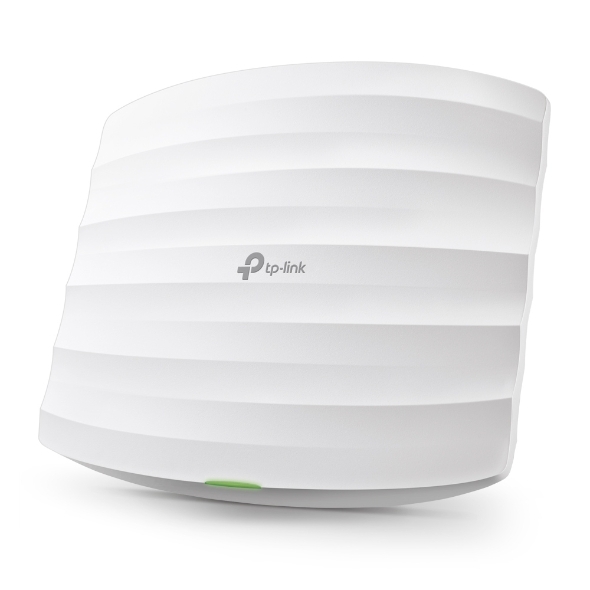 The latest generation of 802.11ac Wi-Fi, combined with advanced 3x3 MIMO technology, ensures superior Wi-Fi speeds and coverage over 2.4 GHz and 5 GHz wireless bands. Manage and monitor hundreds of EAPs with ease, all from a single location, using the TP-Link Auranet Controller software's intuitive management interface. Control and map out your entire network from any connected PC. There’s no added cost, and no need for special training. Business Wi-Fi management has never been so efficient and cost-effective. Captive portal technology provides a convenient method of authentication for Wi-Fi guests by requiring users to perform certain actions before network access is allowed. It can control connections to your network with a voucher system and customized authentication page, which can also provide a branded experience, advertise to customers and offer coupons. The EAP's low-profile design and easy-mount chassis make it easy to install on any wall or ceiling surface and allow it to blend in with most styles of interior decor. 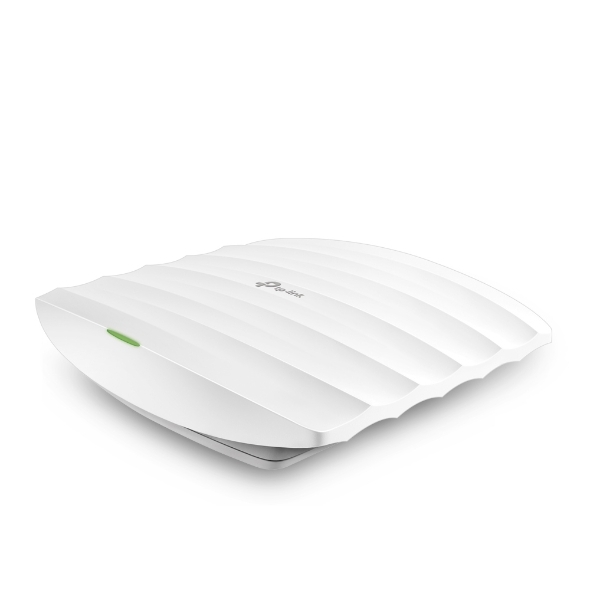 EAP devices also support Power over Ethernet (PoE), making deployment effortless and flexible. 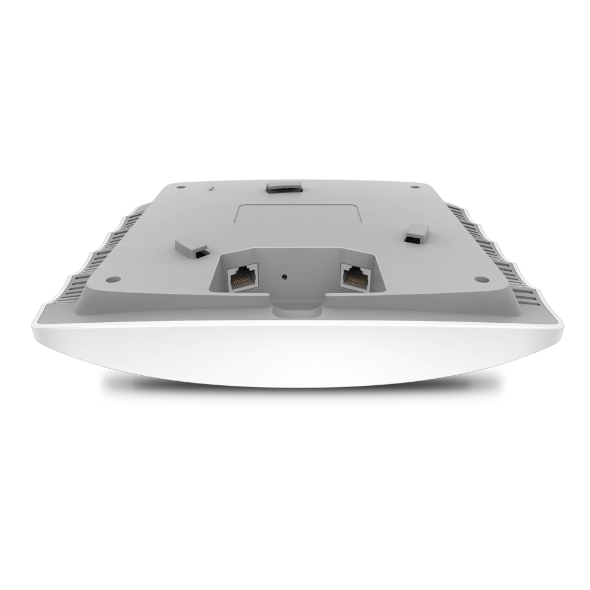 The Auranet business-grade 11ac Wi-Fi solution is engineered to handle heavy multi-user usage in large areas without encountering the same stability issues found with standard routers and access points designed for home use. It’s the perfect fit for motels, salons, chain stores, schools, and restaurants. 1 Maximum wireless transmission rates are the physical rates derived from IEEE Standard 802.11 specifications. Range and coverage specifications along with the number of connected devices were defined according to test results under normal usage conditions. Actual wireless transmission rate, wireless coverage, and number of connected devices are not guaranteed, and will vary as a result of 1) environmental factors, including building materials, physical objects and obstacles, 2) network conditions, including local interference, volume and density of traffic, product location, network complexity, and network overhead and 3) client limitations, including rated performance, location, connection quality, and client condition. 2 MU-MIMO capability requires client devices that also support MU-MIMO. 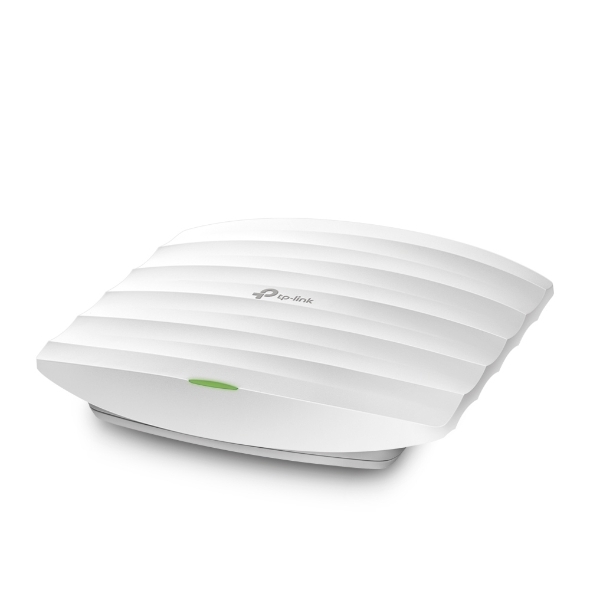 3 Seamless roaming requires both the access point and client devices to support 802.11k and 802.11v protocols.